We tasted many cendol before but never cendol with durian. Yes, durian cendol is real and we just tasted it. 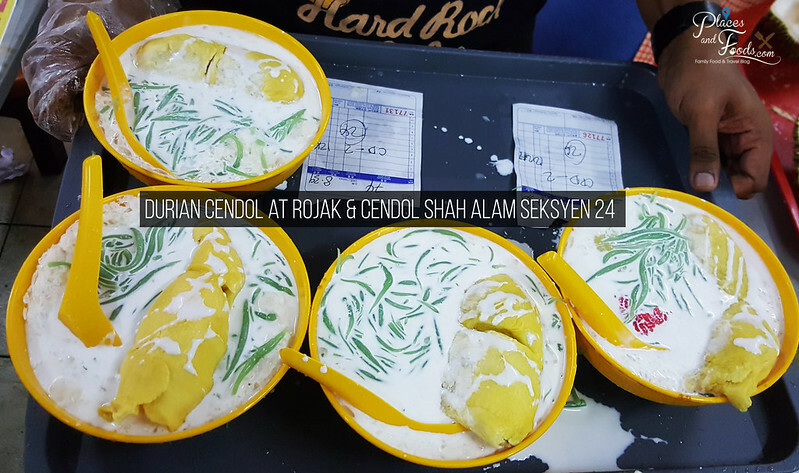 The story of this durian cendol went viral on Facebook a few days ago. Like many other durian lovers, we were very curious so we went to look for it. 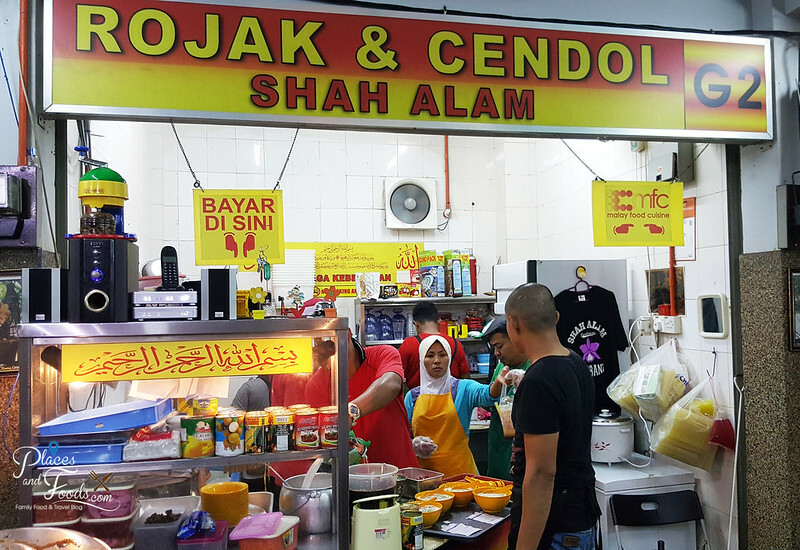 The stall is called Rojak & Cendol and they are located in Medan Selera Delima Seksyen 24 in Shah Alam. Thus, we also read the review on this place written by our long time blogger friend, Vkeong.com. 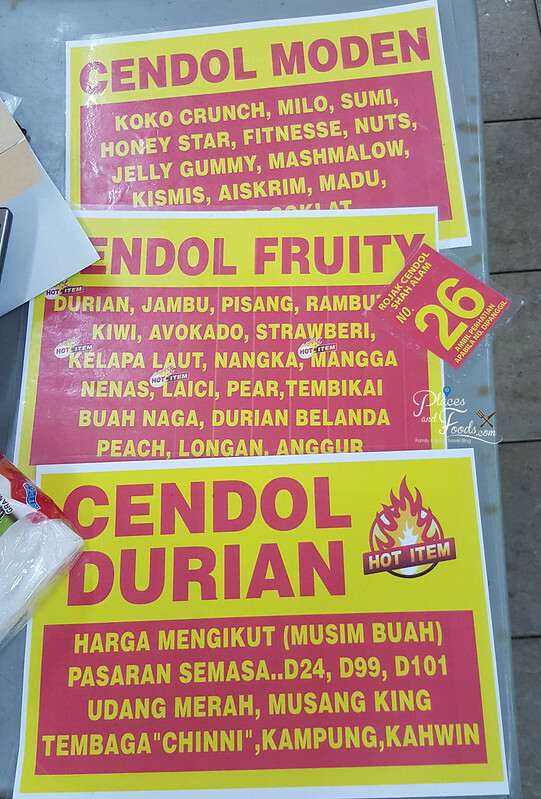 They offer three types of cendol; cendol moden, cendol fruity and cendol durian. The cendol durian comes with two sizes, small for RM 10 and large for RM 12. We ordered the large portion for sure. Currently they are offering ‘Tembaga Chinni’ durian from Thailand. It is because it is not durian season so they couldn’t source the local durians. 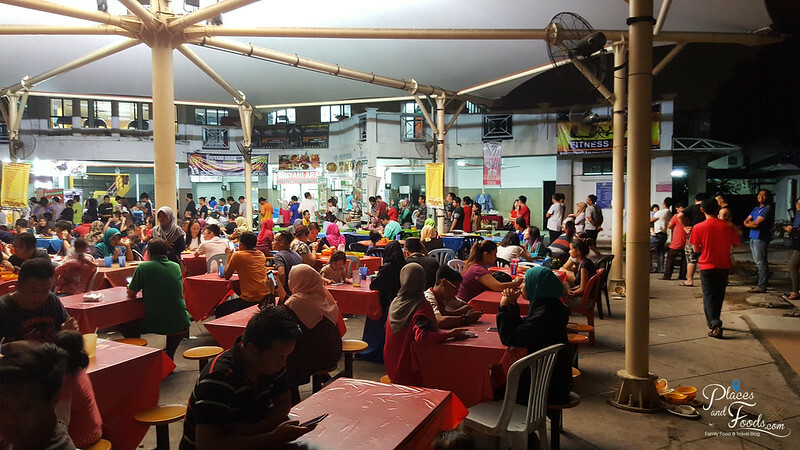 Or else they will offer D24, D101, Udang Merah (Red Prawn), Musang King and other local durians. This ‘Tembaga Chinni’ is not the usual ‘Golden Pillow’ durian so it is not sweet and the taste is pretty good in our opinion. They only use fresh durians and not frozen durians. Their cendol is rich with coconut milk and ‘gula melaka’ (palm sugar) with the cendol (green jellies). 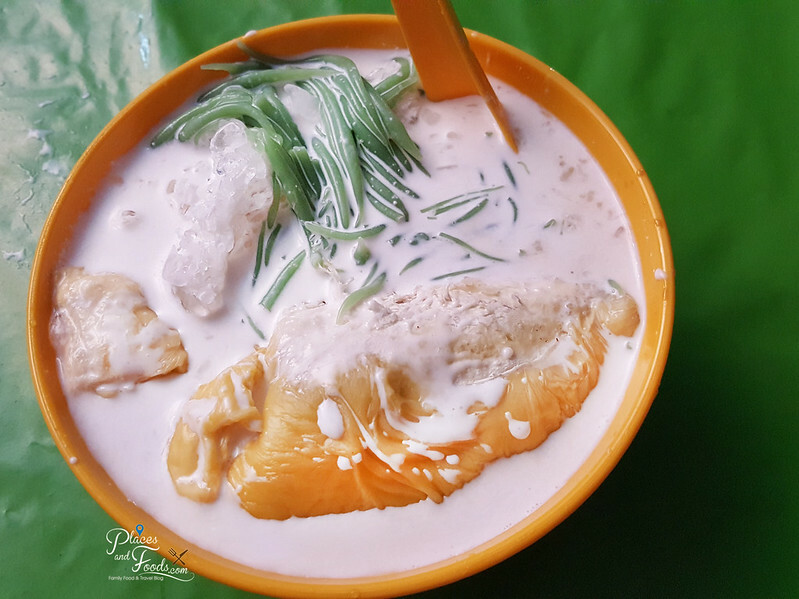 The durian comes with thick flesh and its taste enhances the taste of the cendol. The only setback is the shaved ice is not fine enough but we have no complains. We went there around 8.20 pm and the queue was already long. Thus, we queued up for 30 minutes, paid and took our number and waited for our food for another 30 minutes. In total we waited for an hour. Our advice is go there early like 5.30pm to avoid long queues. As we were leaving around 9.30pm, the queue becomes longer and there are more people join the queue. Is it worth it to wait for an hour for a bowl of durian cendol? Of course it is worth it. We should have ordered two bowls! We will definitely come back for the musang king cendol one day! The super long queue after 10pm. Durian looks heavenly! Never had chendol with durian before. So Malaysian, its amazing. yummy, I want to go try soon too, thanks for sharing. Sometimes small shops can unleash big surprises. This one seems to be the one. Durian Chendol seems to be novel idea. A great idea to serve Cendol. I want to try it too. This weekend I will go and try this. Thank you for sharing this as i am durian person. Yeah, there’s a good mee ketam (Malay style crab noodle) place about 5 minutes away too. It’s quite far from me – about 45 minutes drive, but there’s a lot of good food around there. This looks like a Chanee durian, it’s registered as D123 in Malaysia and it is a Thailand clone but planted locally now. 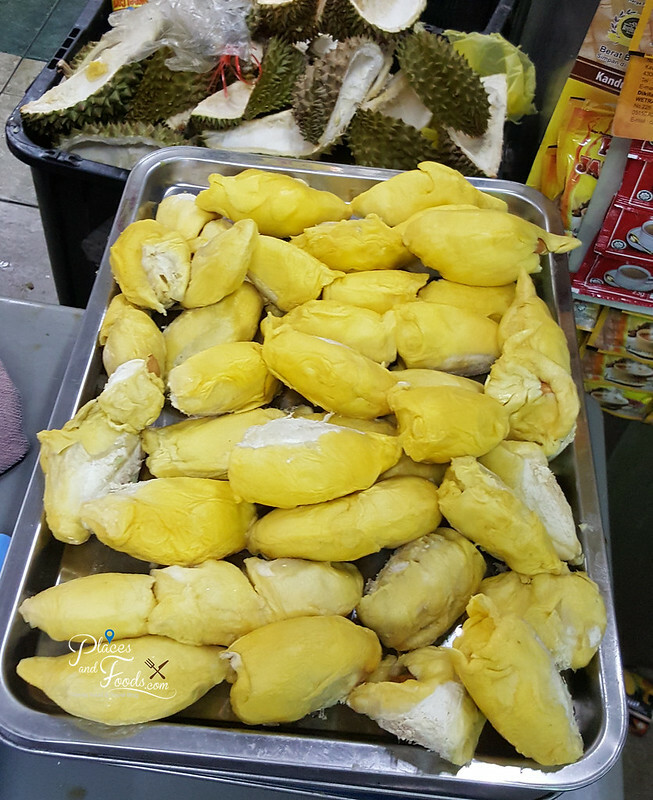 I much prefer Channee to Monthong (Bantal Emas / Golden Pillow) – the former is a lot tastier, Monthong durians are generally bland but they are very meaty and freeze well so it’s sold worldwide. Tastewise, I’ll go for a Chanee any day. OMG!!!! My favorite!!!! The durian looks so amazing!!! Chendol i totally love but not sure whether durian will look nice.